Important narratives pushed by SA’s first black president! Over time, society diminishes the value and show disregard for the great sacrifices every political champion played in history. Theories emerge on how the political icon in question betrayed the nation and simultaneously, on how the icon saved the nation. The icon loses followers over time, gains some and maintains those who sightlessly continue to follow. This run is no different for Nelson Mandela. However, there is sufficient evidence of his philanthropic [and his egotistic] approach in his quest to make South Africa an all-inclusive nation. 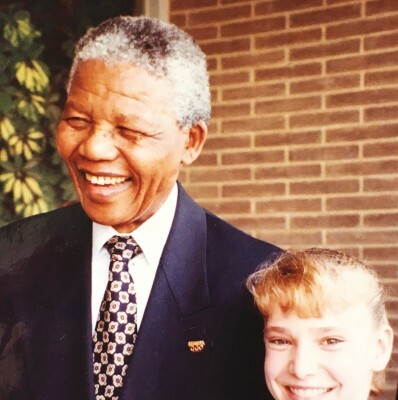 To celebrate 100 Years of Nelson Mandela, let’s focus on his positive narratives, highlighting education—an area that was close to his heart. Nelson Rolihlahla Mandela is the world’s most celebrated political prisoner, first black president of South Africa and was released in 1990 after 27 years of imprisonment by the Apartheid regime—a system of institutionalised racial segregation and discrimination that existed in South Africa from 1948 until the early 1990s. After his release from prison he delivered waves of speeches, pushing the narrative of a democratic South Africa. His narrative and leadership role pulsated globally—and in 1994, he prevailed in South Africa’s first all-inclusive general election, which to many non-white South Africans meant a fairer and more egalitarian society. The outcome of the 1994 elections promised the demise of systematic racial segregation. Consequently, throughout the Apartheid era, the education system in South Africa gratified the needs of the white population. The few schools that were available to black students were in a poor condition.. However, for as long as we have known Mandela, he has always conveyed the importance of education and the role that it plays in a democratic society. One of the quotes by Mandela, that is most recognised across the world is a quote on education. He said, “Education is the most powerful weapon, which you can use to change the world”. He also stated that the power of education extends beyond the development of skills that we need for economic success, which can contribute to nation-building and reconciliation. “Our previous system emphasised the physical and other differences of South Africans with devastating effects. We are steadily but surely introducing education that enables our children to exploit their similarities and common goals, while appreciating the strength in their diversity,” said Mandela. Mandela’s fight was commonly misunderstood for an armed resistance against the white minority’s oppressive regime. However, his greater fight was against general injustices where he advocated more from a humanitarian perspective. He always encouraged that we do not discriminate, regardless of our skin colour. “A good head and good heart are always a formidable combination. But when you add to that a literate tongue or pen, then you have something very special”. Through this quote by Mandela, his fight was for fair humanitarian practices is clear and also, for humanity and education to merge under a single entity. “No one is born hating another person because of the colour of his skin, or his background, or his religion. People must learn to hate, and if they can learn to hate, they can be taught to love, for love comes more naturally to the human heart than its opposite,” he affirmed. Evidently, Mandela’s endorsement of education extended beyond just formal education. 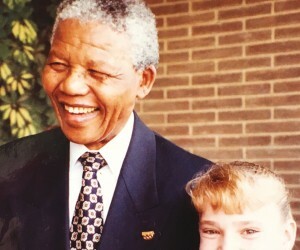 He spent a great part of his life educating the people of South Africa about freedom and liberation, on what it meant to be part of an all-inclusive society and how all forms of education can refine how we live. In a speech he conducted in 2007 for ‘Schools for Africa’, he said, “Education, more than anything else, improves our chances of leading better lives”. Addressing the youth of the country, was a focal point for Mandela. He believed that if the minds of the younger generations of the country could be moulded towards thinking in a more egalitarian manner through education, then the future of South Africa would be less oppressive and more inclusive. “There can be no keener revelation of a society’s soul than the way in which it treats its children”, argued Mandela. News on current affairs played a pivotal part in Mandela’s quest for equality. He once stated that he never allowed a day to go by when he didn’t read every newspaper that he could lay his hands on. It was important for him to know what was happening across the country, for him to strategise, plan and execute meaningful campaigns that would ultimately contribute to liberating South Africa. Ultimately, Nelson Mandela was open and transparent on what ‘freedom’ meant to him. He knew that through education, all the struggles that South Africans were facing, would be easily overcome. His legacy and life lives on in the hearts, minds and spirits of the people.